In the world of Digital Asset Management (DAM) there are two distinct types of programs: the File Browser and the Catalog application. Creatives and corporate clients who manage their own image collections need both. Here’s why. A File Browser can also be called an Image Browser or a Media Browser. The Mac Finder and Windows File Browser are examples you use every day. Mac Finder is a basic file browser. File Browsers are good for viewing images in a single folder. Maybe you have just received or downloaded images from a photo shoot. A File Browser is the perfect tool to quickly review the images and the contents of the folder. A dedicated Image Browser like Photo Mechanic from Camera Bits is not designed for office documents, etc. Photo Mechanic is engineered for fast pace, professional sports and news photography. Not only speed of viewing and assessing images, it’s fast with file management: downloading, naming, backing up, captioning and delivering to clients under high pressure deadlines. Photo Mechanic is a fast, professional Image Browser. Adobe Bridge is a free Image Browser. The caveat to being free is you will need an Adobe ID and sign up for the Adobe Creative Cloud. Some features, like editing Camera Raw images, are only available with paid subscriptions. Adobe Bridge is a free Media Browser and part of the Creative Cloud. Bridge renders most media types and Adobe refer to it as a media browser. As the name suggests, it’s a bridge between applications and naturally works best with Adobe apps. If time is of the essence one downside to Bridge is it’s a lot slower than Photo Mechanic. Compared to an Image Browser, a Catalog application relies on a database, which is also its key benefit. From a user interface point of view, compare the screen shot below of a Catalog application to the Image Browsers above. 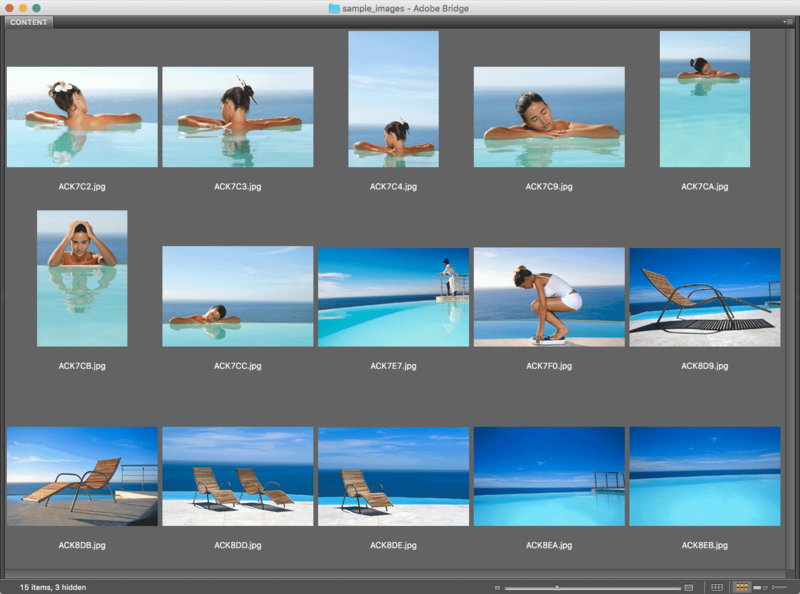 Adobe Lightroom is a catalog application. They look essentially the same and it’s the underlying database that makes the difference. An Browser shows what is there, a Catalog shows what should be there. To demonstrate this in workshops I show a folder of images on an external drive in an Image Browser and a Catalog like the screen shots above. Then I unplug the external drive, the Image Browser goes blank but the Catalog images remain on screen. Magic! The highlighted area shows the images are offline. You can still see the images, even a large preview, that’s something a File Browser can’t do. But that’s only one benefit of using a catalog application. A catalog is essential for maintaining a healthy image collection. For example, you can easily check for missing images in order to restore them from back up. Some Catalog applications have the option to check if files have been corrupted. I use Adobe Lightroom Classic to validate DNG raw files. File Browsers will only let you see the contents one folder at a time (Photo Mechanic is an exception). Catalog applications let you see as many folders as you like, or your entire archive if you so wish. Even if they’re on multiple drives or servers that are not currently connected (‘offline’). Searches are performed efficiently in the catalog database. You can quickly search for images based on metadata automatically imported from the file (type, date, location, etc) as well as metadata you add (keywords, rating, usage, releases, licenses, etc,). Again, the drives don’t have to be connected (‘online’) to search and display images. When an Image Browser searches it needs to look inside each image and of course they need to be accessible. If the images are offline Image Browsers can’t search them at all. Unlike Catalogs, they can only search one folder at a time. A catalog lets you make groups of images based on different criteria, like metadata mentioned above. You can save these groups as collections. Smart Collections can automatically group images for you based on criteria you nominate, such as certain keywords or parts of a folder name. For people looking for a single user, standalone image Catalog application, Phase One Media Pro has been my recommendation for decades, in one guise or another, but is now discontinued. Phase One recommend Capture One as a replacement. I don’t! Capture One is an industry leading Camera Raw processor but it’s catalog features are sadly lacking. For cataloguing I now suggest Adobe Lightroom Classic. It’s only available with a Creative Cloud subscription, however if used solely for Digital Asset Management it’s free. 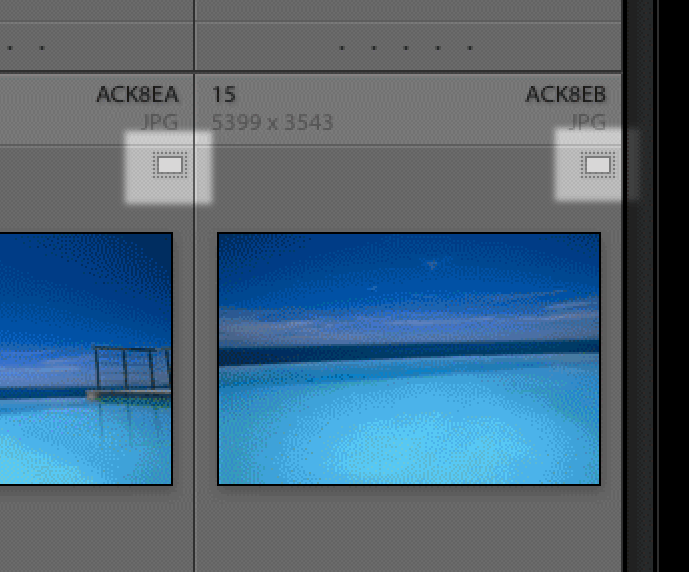 Most of Lightroom’s DAM features continue to work after your subscription expires. Some features such as built-in maps and advanced image editing are disabled. However all the image collection management features still work. For those looking at a Catalog application that works with multiple users there is good news and bad news. The bad news is that most of the affordable programs have been discontinued, so I have nothing to recommend at the moment. Photo Mechanic is my preferred Image Browser of choice and this week has just been updated to version 6. The good news is in April a catalog feature, Photo Mechanic Plus, is being offered as a public beta. As a brand new feature, expect the catalog component to have some growing pains. We’ll just have to wait until 22 April and see! Enterprise DAM offers multi-user solutions but they can be expensive. Expect to pay around $20 000 for something off the shelf like Extensis Portfolio or Fotoware FotoStation. Otherwise the industry is moving to a hosted, cloud based DAM subscription solution. Here I’d look first at Libris by Photoshelter. It’s not a matter of whether you need a File Browser or a Catalog application. Both have their place. While I’ve referred to images when discussing DAM, the same arguments go for all your media assets: video, desktop publishing, etc.